What’s your favorite rose variety? Or to be less specific, your favorite rose color? Orange roses, given their somewhat unusual coloring, make a big visual impact, as can be seen in the table setting below. Orange roses centerpiece by Lily Lodge, a florist in Los Angeles, California. I love the combination of oranges and purples! The many weddings I have attended mostly run on the sweet pink or peach (or other pastels) train, but the wedding images in this Oregon vineyard wedding really caught my eye. I’m fairly certain it was very memorable for the guests as well! Orange roses make a great statement, that wonderful combination of classical grace and elegance with vivacity and cheer. These accessories are perfect for the times when you want to make an orange rose statement without the fresh flowers at hand. 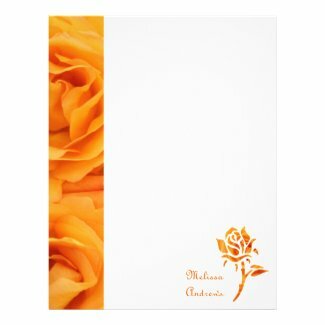 I love orange roses so much I decided to make a customizable set of home and office goods with an orange rose design. I took the rose photo at the Ofuna Botanical Garden in Kamakura, Japan. 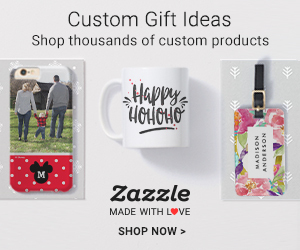 My husband and I very much enjoyed the sweet fragrance of the roses there, so I hope to share that with you through these personalized gift items. I also made a rose silhouette version; you can add your full name next to it, like a signature. 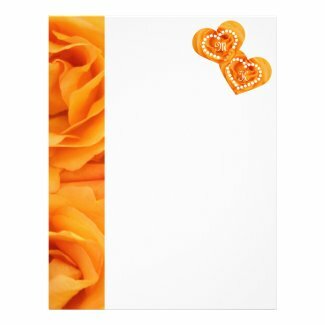 There are also two-hearts stationery and rose silhouette stationery. Of course, we have envelopes to match. One of the nice things about made-to-order envelopes is that you can have your name and return address printed at the back. Very convenient! I also made an invitation with matching envelopes. It would be simply marvelous to have a vase of fresh orange roses everyday. Wouldn’t it be heavenly to wake up to their gorgeous beauty and sweet fragrance? An orange rose clock to brighten up your mood every minute of the day! An iPad mini case cheers us up during a dreary office lunch break. Check out other personalized products with this design here. I hope you enjoyed this article on orange roses. Unique and sunny, this beautiful flower can add a bit of gorgeous and fragrance to our daily lives. Let me know in the comments section if you’re also a fan! You just finished reading Beautiful Orange Roses to Brighten Up Your Day. Please consider leaving a comment! This post is from the interior furnishings website, Beverly Claire Interiors. If you are not currently reading this via interiors.beverlyclaire.com, then this post may have been stolen or scraped from the Beverly Claire Interiors site. Republishing this article in full or in part is a violation of Copyright Law (c)2010-2018, All rights reserved.